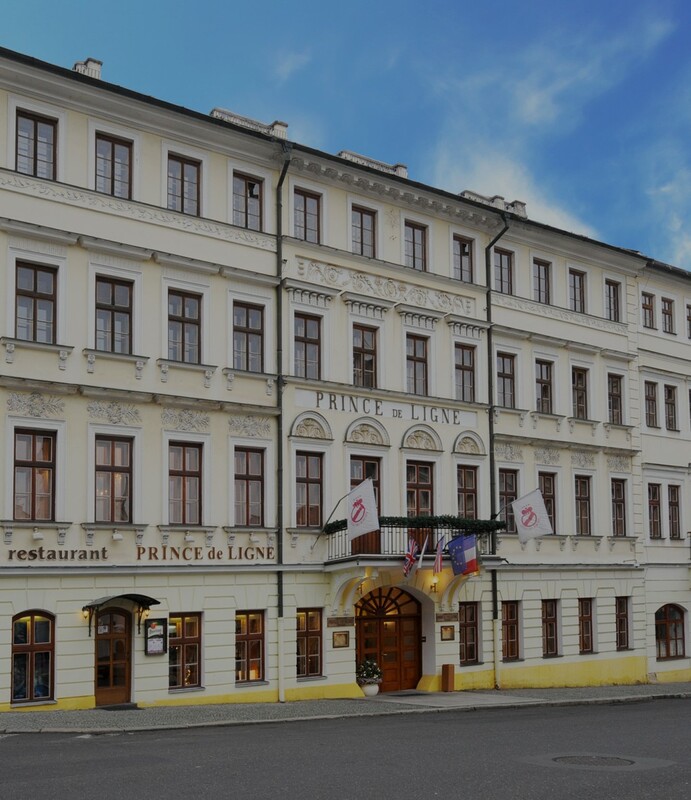 Hotel Prince de Ligne is located in the historical centre of Teplice, a spa city situated in a pleasant landscape located between the Central Bohemian Uplands (České Středohoří) and the massif of the Ore Mountains (Krušné hory), close to the border with Germany. The Hotel offers 33 rooms, including a presidential suite, suite for two, and single rooms. The price of accommodation also includes breakfast in the hotel restaurant. Apart from accommodation, during your stay you can visit the Prince de Ligne restaurant and taste culinary specialities. If you like golf, you can visit the Golf restaurant at Golf Resort Barbora in your free time, located nearby. To travel between the Hotel and your selected destinations, for instance the Prague, Dresden, or Berlin airports, you can choose a car from our fleet of upper-medium cars. The Hotel also offers other accompanying services, such as a cosmetic salon and hair stylist and sauna. All accompanying services are also available for guests who are not staying at Hotel Prince de Ligne. Companies like to organise conferences, training courses, parties, and various events in our four hotel lounges, including the hotel catering services.